Qatar is investing in American naval and military equipment, and the Doha International Maritime Defense Exhibition and Conference (DIMDEX) is where the buyers are. Since the show first set sail in 2008 it’s hosted more than 380 visiting official delegations, 80 participating warships and almost 50,000 professional and trade visitors, generating nearly $32 billion in direct deals and billions more in related commerce. The new Qatar Emiri Naval Forces Base, part of the expansive New Port Project launched in 2007, opens a wide array of opportunities including training services simulators, marine surveillance, security and maintenance across all divisions of military. The Qatari Armed Forces recently purchased anti-ballistic systems, military electronics and cyber systems, weapon systems, air-to-air missiles, air-to-ground missiles and air defense systems. Qatar also recently purchased 36 F-15 fighter jets, introducing multiple platforms for armaments, upgrades and maintenance contracts as well. With so much equipment and technology on display coupled with the Middle East Naval Commanders Conference (MENC), exclusive VIP Delegations and visiting Warships’ Display, DIMDEX 2020 is your port of call for business in Qatar, MENA and with the GCC. DIMDEX 2020 builds on past success as the most comprehensive maritime and defence exhibition in Western Asian Hemisphere. Marking its successful 10th anniversary edition, DIMDEX 2018 attracted approximately 13,000 visitors during the three-day event and hit a record number of agreements, with more than 35 partnerships, agreements and MoUs being announced.. In 2013, the U.S. and Qatar signed a Defense Cooperation Agreement to include joint training and exercises for Naval, Coast Guard and other branches of the military. This alliance between the United States and Qatar is a true bilateral partnership that gives American exhibitors an extra-secure advantage in the USA Partnership Pavilion at DIMDEX 2020. The Pavilion builds on America's presence and Kallman Worldwide's history with the show to help you meet more buyers, decision-makers and influencers here. As the official representative of the show in the U.S. and organizer of America's presence here for nearly 10 years, that experience translates into more value for you in Doha. In addition to our suite of end-to-end exhibitor services, the upcoming edition of the Pavilion will feature a new turnkey stand design and materials, a robust delegation program, close collaboration with in-country and regional U.S. Commercial Service representatives to facilitate business introductions and meetings. We look forward to helping you learn more and sell more in Doha at DIMDEX 2020! Dimdex 2020 is on course for success! Qatar’s 2016 military budget was estimated at $4.4 billion and is expected to grow to $7 billion by 2020. This coupled with the decision making delegations from the GCC (or MENA) has DIMDEX on course for success. The Middle East continues to provide a tremendous opportunity for maritime and defense companies to export into. Virtually every country in the region has increased their defense spending. U.S. companies have been fortunate to gain the lion’s share of this spending and it is expected to continue through 2020. The majority of opportunities revolve around the n ew Navy base project, in addition to capacity building/service training services across all divisions of military. Coast Guard Qatar has recently purchased 36 F-15 fighter jets and that may open up multiple platforms for armaments and maintenance contracts Off Shore Patrol Vessels (OPV). The new OPV’s will require weapons, radar and munitions. Anti- ballistic systems, military electronics and cyber systems, weapon systems, air-to-air and air-to-ground missiles and air defense systems. With the newly signed $110 Billion agreement with Saudi Arabia and the others member states contemplating defense expansion, DIMDEX will be the gathering point for decision makers of the regional defense industry to meet with US suppliers. Location — High traffic space centrally located just inside the main entrance. Anticipated industry briefings with representatives of local/regional agencies. Participation of U.S. Commercial Service trade representatives from countries from across the globe. The USA Partnership Pavilion provides the essential business connections and unique opportunities for U.S. exhibitors to meet with peers, potential suppliers and customers. The U.S. Commercial Service is the trade promotion arm of the U.S. Department of Commerce’s International Trade Administration. U.S. Commercial Service trade professionals in over 100 U.S. cities and in more than 75 countries. As part of our efforts to achieve the strategic objectives of Qatar’s National Vision 2030, the Maritime Transport Sector maintains a close relationship with the International Maritime Organization (IMO) and runs constant reviews of national legislation to ensure their compliance with relevant international legislation in the best interests of the State of Qatar. Furthermore, the Sector continuously strengthens coordination and cooperation ties with different stakeholders through participation in international meetings and working groups. The Qatar Armed Forces are the military forces of Qatar. They are also the organizers of Doha International Maritime Defence Exhibition & Conference –(DIMDEX). - This prestigious event is renowned to be a dynamic gateway to industry insights, solutions and procurement opportunities, for maritime and defence leaders from around the world. DIMDEX 2020, will be held over 3 days from 16-18 March at the Qatar National Convention Centre. Trade and industry news reports influence the decisions attendees make about where to spend their valuable time during the show. Industry media reports are also critical sources for professionals who can’t attend. Our long-standing editorial and marketing relationships with maritime industry media companies bring extra attention and insight to the USA Partnership Pavilion at DIMDEX 2020. Look for real-time Headline News from our industry media partners on our website and at our on-site Newsstand during the event, where you can also pick up copies of their latest publications. 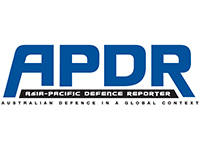 Asia-Pacific Defence Reporter (APDR), Australia’s longest-standing defence publication, provides strong timely news and authoritative analysis on defence issues and developments throughout Australia and the Asia-Pacific region. Founded in 1986, Defense News is the authoritative, independent, professional news source for the world's defense decision-makers. In print and online, we provide the global defense community with the latest news and analysis on programs, policy, business and technology. Our bureaus and reporters around the world set the standard for accuracy, credibility and timeliness in defense reporting. 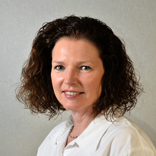 For over 35 years, Shephard Media has been providing high-quality business intelligence to the aerospace, defence, maritime security and military training markets, through a combination of magazines, online news services and handbooks. Particularly well known within the rotorcraft, unmanned vehicles, C4ISR, military logistics, land warfare and maritime security markets, Shephard Media is poised to expand into new sectors and provide new offerings to ensure that we best serve our global markets as a leading supplier of business intelligence. 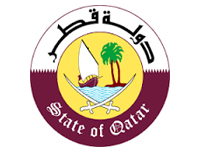 The Qatar Armed Forces are the military forces of Qatar. The country maintains a modest military force of approximately 11,800 men, including an army (8,500), navy (1,800) and air force (1,500). Doha International Maritime Defence Exhibition and Conference (DIMDEX) is held under the patronage of His Highness Sheikh Tamim bin Hamad Al-Thani, Emir of the State of Qatar and proudly hosted and organised by Qatar Armed Forces. Stand out as a USA Partnership Pavilion exhibitor at DIMDEX 2020 with more promotion and media support from Kallman Worldwide, Inc. Ask about upgraded features to create a more branded, polished presentation. Get in on the ground floor with this raw space option, and design your dream stand (minimum sqm required, includes all USA Partnership Pavilion services and amenities). high-end hosting and hospitality or high-volume lead-generation, challenge our team to create the perfect scheme. The centerpiece of our program is the USA Partnership Pavilion Visitors Guide. It's essential reading for international buyers looking for U.S. suppliers, and Kallman distributes hundreds-to-thousands of copies on site at the show. For Dimdex, we'll also post an interactive online directory at kallman.com for worldwide reference. Every exhibitor in the USA Partnership Pavilion receives a free listing in the Guide and a cross-reference in their product or service categories. Add your logo exclusively to the official Pavilion lanyards. The United States is committed to its international trade partnerships, we bring the best technology and innovation to the table, and we have the most-skilled, professional workforce to do the job. 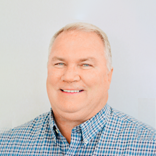 That’s the message of “Ask America” Kallman’s exclusive, integrated advocacy campaign to heighten awareness of U.S. exhibitors among industry buyers and influencers — those who are planning to attend, as well as those who are interested but can’t go to the show. Kallman Worldwide is committed to your success online, as well as on site, with social media support that extends your Dimdex 2020 outreach and impact. Social media can help you generate buzz, increase brand exposure, and strengthen relationships with buyers, opinion-leaders and influencers.! Whether you’re active on social media or just looking to dip your toe in the water, we offer simple, low-risk support to USA Partnership Pavilion exhibitors. Follow us/like us on Twitter, Facebook, LinkedIn, Instagram and Flickr and let’s grow the conversation together! As the Director of Kallman Creative Services, it gives me great pleasure to bring visions to life. From the client’s thoughts, to paper, to design, to delivery, I create custom exhibitor stands of award-winning quality for world-class clients internationally.